Keep your friends close, your enemies closer, and the Word of God within you. There is only ONE true prayer template, and it requires us to trust that God is not blind to our needs nor deaf to our cries. 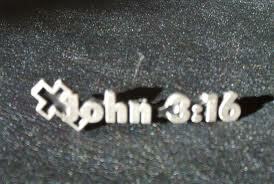 John 3:16- a different perspective. Did the world ever truly love God? That whosoever believe in Him are subject to ridicule, resentment and retaliation from a world saturated with dysfunction and a determination to eliminate God from what it deems as ‘life’. Okay… here is a word that has been, I feel, blankly associated with any and everything that happens in a person’s life that he or she SEES or FEELS is good. If a person usually receives something outside of themselves, like a new something (job, car, house, promotion), or MONEY (especially), for instance, he or she claims to be BLESSED. The things that we see as a BLESSING are most commonly the things that are outside of ourselves. We gather this form the Word of God, or from hearing someone else use it in a sentence, subsequently gathering their personal definition of the word and then carrying it on through our lives. We hear it in the churches, synagogues, temples and yet the nature of the word is somewhat eluding, only because of the context that it has been used in lately. “Bless me with this… bless me with that…” I have listened to people speak these words to myself and others like we have the ability to ‘bless’ anyone with anything. So what does the word actually mean? What is it’s origin in respect to the Word of God and Christ where blessings occur? Let’s look into it. To praise, celebrate, or show adoration to. In the New Testament, Jesus spoke blessings to the masses to the meek, the poor in spirit, those who mourn, those who are gentle, etc… (Matthew ch.5: vs. 2-11). The blessings of Christ upon our lives are based on the love that God has for us, not necessarily upon what we receive. These things are in connection with the fruits of the spirit, which are free to us and can be our most precious and priceless possessions. Nothing that is given to you by man, shared with you by man, or earned through man’s challenges will ever be yours, no matter how long or hard you worked to obtain it. History has proven that it’s on a lifetime rent and can be taken or stripped from you when desired. Full of difficulties, or rough surfaced. Used in a sentence: Many in this age have chosen the destructive, yet easy road paved by Enemy because of a lack of faith and connection with God, yet some have taken the scabrous path that leads to God, continuously forsaking the Enemy’s deceptions. The repetition of a word or phrase to gain special emphasis, or to indicate an extension of meaning. Used in a sentence: Moses was charged with the task of freeing God’s people from the hand of the Egyptians and was instructed with figures of amplification and ploce to explain who it was that sent him.